Ancient Hohokam Indians civilization and their development of an extensive irrigation system in the Valley River Valley, starting back in 300 BC. Early pioneers, the use of prehistoric canals, the military, mining activity and event leading to a very productive farming industry. Reason two families came to the Salt River Valley in the early 1900 hundreds. 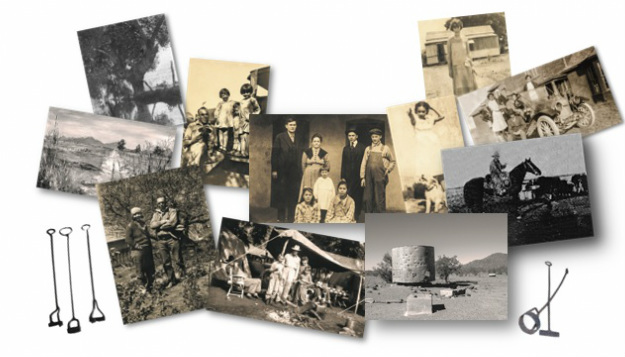 Early rural life, farm practices and how the Depression and World War II changed the Salt River Valley. How modern farm equipment and practices relieved a labor pool to help make a booming electric industry in The Valley of the Sun. ﻿﻿Sam C. Joy was born on June 2, 1931, in Phoenix, Arizona, and raised on his Dad’s farm along with a cattle operation on the north side of the Salt River Valley. Click Here To Ord﻿er Y﻿our Book! FREE book shipping on US Orders!